Alan & Trish welcome you to the Cherry Tree Hotel. 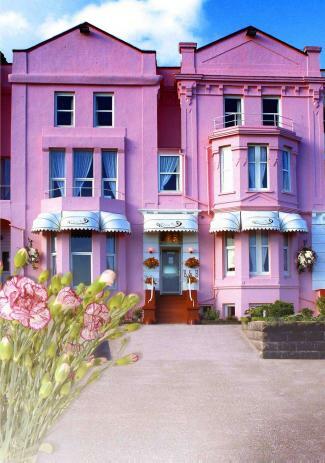 Our aim is to ensure you have a happy and comfortable stay in our family run seafront B&B. 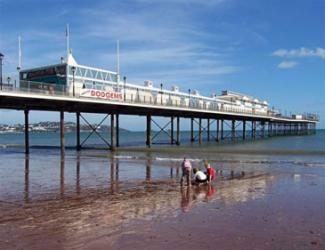 The Cherry Tree Hotel is in a prime position on Paignton sea front with open views over the bay to Torquay. The magnificent vista from the sea-facing rooms pans across the green to show off the long sandy stretch of beach & the Paignton Pier, with its stunning views of the English Riviera. The Cherry Tree bed and breakfast Hotel has 20 en-suite rooms, with complimentary private parking and WiFi for all guests. Whatever the length of your stay, you can be assured of a warm welcome at the Cherry Tree B&B Hotel. The Hotel has been tastefully decorated and is perfect for a relaxed family holiday and for couples seeking to escape to the English Riviera. The Cherry Tree is also ideally situated for touring the picturesque Devon countryside including Dartmoor. a wonderful seaside experience for the whole family.